End of Tycoon mode, what happens next? Congratulations dear CEO, your app is up-to-date! In this article, we’ll present the new features that come along with this version. A new accountant is at CEOs’ disposal. Thanks to him, it is now possible to pay one’s weekly tax in several installments: on Mondays, Wednesdays and Fridays! 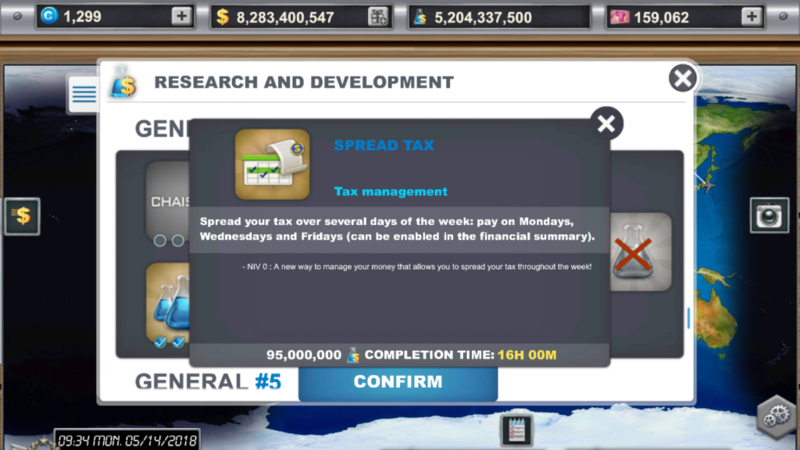 To do so, you just have to unlock the new accountant in the SPEAD TAX research in the 4th level of the General R&D. 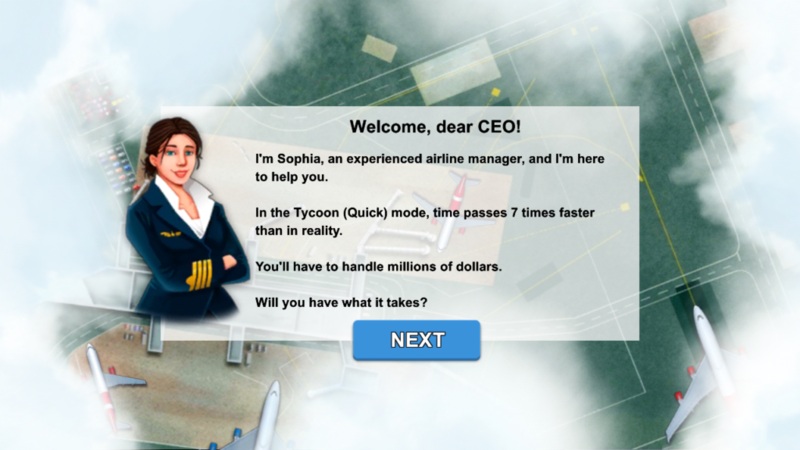 A major change has been made on Airlines Manager’s Tycoon mode. 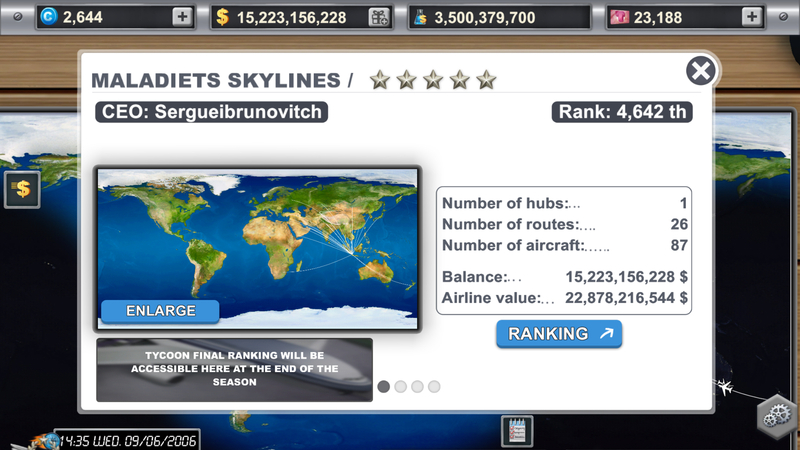 The airline reset initially planned at the end of the Tycoon season was revoked! A new season system that will provide more challenge and competition between all CEOs: new ranking system, rewards… Enough to bring out your competitive spirit! 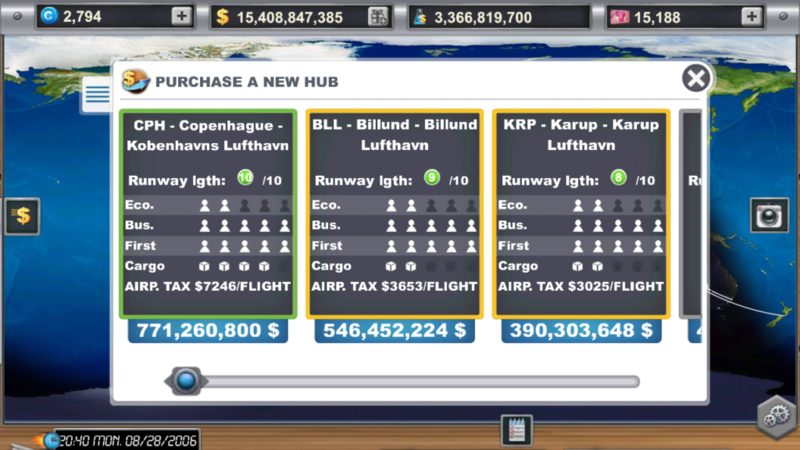 To make reading and route/hub purchase easier, colored borders have been added to hub boxes. Please note that if you have not performed any audit on your route/hub, the box will remain grey. Demand icons have also been reviewed to make hub presentations clearer and more consistent. Those changes are only visual modifications, all demand data remains unchanged. 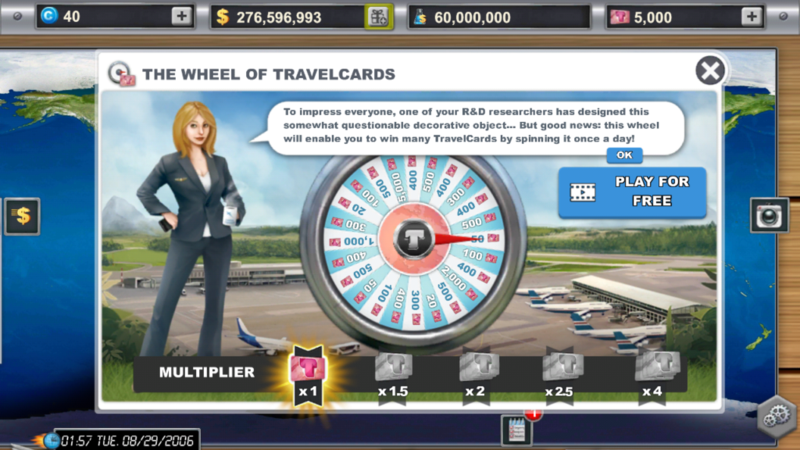 New players and players who made a reset of their airline can discover a modernized and freshened up start tutorial, with rearranged missions, for a smoother and faster game start. The Wheel of TravelCards has been given a makeover for you. Go make it spin now! The new features of the 2.9! New features of the 2.6!